Why is this the best? Click on the articles below to see the full page. 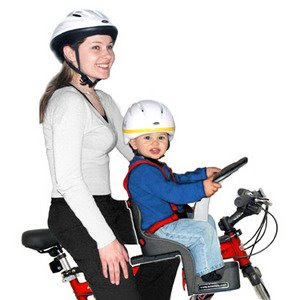 Up until now, small children have typically been put in bike seats, which are located over the rear wheel. Not only does this change the bike’s centre of gravity, making coordination and riding less stable, but it also means that the child’s view is obscured by the adult’s back – not much fun for an inquisitive youngster. Easily fitted to most bicycles, and a sensation in the US, Mat Newman, managing director of WeeRide Australia explains why he believes the Weeride is a must for biking families, “With a young family ourselves we struggled with the awkwardness of rear-mounted bike seats, they didn’t feel safe, our youngest couldn’t see anything and we couldn’t interact with him. Following a trip to the States we had the opportunity to rent a bike with a WeeRide attached. The positioning of the seat made so much sense, that as soon as we got back to the Australia we began negotiations to become the sole Australia distributor. “Although officially launched today, we have been selling the WeeRide to friends and family since the beginning of the year. To say they are selling faster than water in a drought is an understatement; we’ve even struck a deal with Mothercare,” Finished Newman. Get our latest offers & news before anyone!